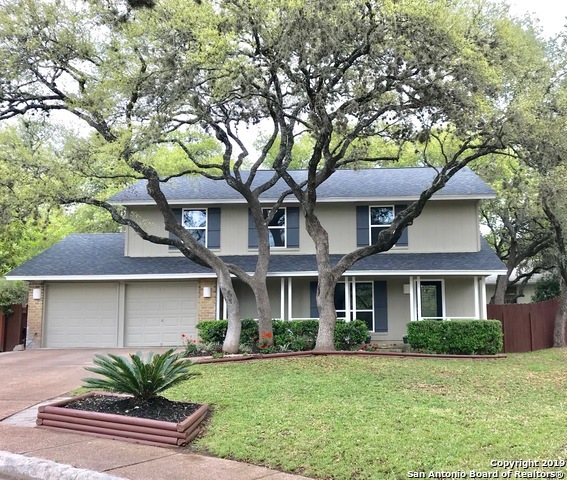 All Oak Hollow Estates homes currently listed for sale in San Antonio as of 04/22/2019 are shown below. You can change the search criteria at any time by pressing the 'Change Search' button below. "Enjoy the major style upgrade that welcomes you home. The open and airy floorplan which flows onto an inviting outdoor covered patio will provide an exceptional enviroment for your family and friends. The open kitchen with new stainless steel appliances, new granite island and counter tops, and new cabinets welcomes a crowd. All living spaces upstairs have new carpet and large windows to provide natural light throughout the house. All bathrooms have been completely transformed. No HOA." "Oak Hollow Estates 4/2/2 Beauty on .21 Acre !! ** Stylish Finishes Throughout** Engineered Wood Plank ...New Carpet in Bedrooms ** Designer Paint**Kitchen Boasts Custom Cabinets...Granite Counters..Upgrade Appliances..Custom Backsplash ** Family Room w/ Floor to Ceiling Corner Fireplace...Vaulted Ceilings...Arches** Florida Room w/ French Doors to the Spacious Backyard for Family Fun...Texas Size Covered Patio ** Master Suite-Large Tile Surround Shower...Lg Walk-in Closet ** Come See for Yourself"
"LISTED BELOW MARKET VALUE IN OAK HOLLOW ESTATES!! CORNER LOT BEAUTY! COME CHECK OUT WHAT THIS HOME HAS TO OFFER! 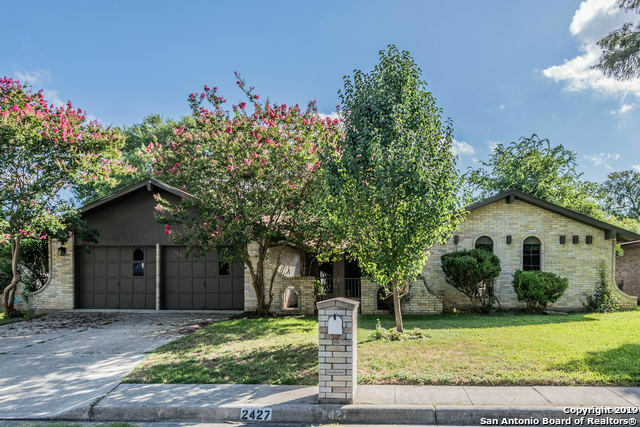 DUAL MASTERS UPSTAIRS * OVERSIZED MASTER BEDROOM LEADS TO BALCONY * HUGE OUTDOOR STONE FIREPLACE & AN OUTSIDE KITCHEN GREAT FOR ENTERTAINING * STONE WALKWAY IN FRONT & BACK OF HOUSE * BEAUTIFULLY LANDSCAPED! CONCRETE TILE ROOF * SO MUCH POTENTIAL! SELLING AS-IS!"